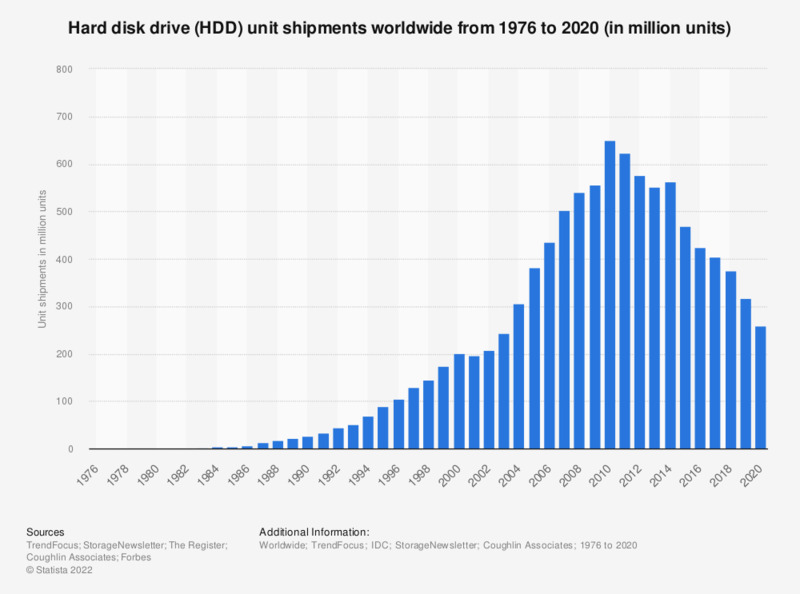 This statistic shows global shipment figures for hard disk drives (HDD) from 1976 to 2018, with a forecast through to 2022. In 2018, global unit shipments of hard disk drives fell to 375.56 million units. High-capacity enterprise HDD shipments are expected to grow, although at a slower rate than previously forecast. Consumer drives and external hard disk drive shipments are both expected to decline.